This year marked the 60th anniversary of the end of the Second World War, which is almost universally seen in Britain as purely a war against the Nazis and their UK-bound warplanes. Unlike the First World War or the wars in Indochina and Iraq, the Second World War is somewhat unique in that it is likely the only modern war whose reputation has remained pristine throughout the decades, being regarded as the ‘Good War’. But the impetus behind Britain’s involvement was as much imperial as it was defensive. At the end of the 1930s, Winston Churchill and Anthony Eden believed Germany to be a significant threat to their empire, and not Britain’s national security. Some of the ruling class entered the Second World War reluctantly, and contrary to many propaganda cartoons, British elites did nothing to aid the Poles; they did, however, evacuate a segment of the Polish army to deploy in their own objectives in 1940. As early as the fall of Singapore in 1942, plans were already being made in Whitehall to reclaim parts of the empire, with the examples of Burma, Malaya, Hong Kong and Nigeria being the most notable. Churchill even drew up a plan, vetoed by the US, of taking over Thailand (covered by P.J. Cain and A.G. Hopkins in their 1993 studyBritish Imperialism: Crisis and Deconstruction 1914-1990). He also issued a stern instruction to Eden towards the end of 1944: ‘[H]ands off the British empire is our maxim and it must not be weakened or smirched to please sob-stuff merchants at home or foreigners of any hue’. Labour had long confessed a principled opposition to imperialism, though had a change of heart after assuming office in 1945, supporting the renewal of the Colonial Development and Welfare Act and the establishment of a managerial structure run by several generations of educated colonial subjects. As Ernest Bevin modestly put it, ‘our crime is not exploitation; it’s neglect’ – where ‘neglect’ should be understood in its proper sense of ‘more exploitation’ (for discussion, see Robert D. Pearce’s 1982 The Turning Point in Africa: British Colonial Policy 1938-1948). ‘Communist’ Russia also declined to support EAM/ELAS, and ordered the resistance to fuse with the government of the king. In an effort to dominate as much of the country as possible, Churchill’s coup later overthrew the Greek government while also suppressing the communists. 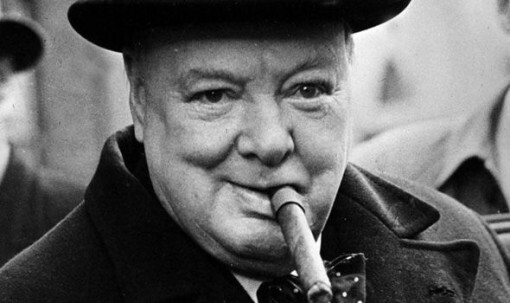 Churchill informed General Scobie, in language to match that of any of the century’s great dictators, ‘Do not hesitate to fire at any armed male in Athens who assails the British authority or Greek authority … [A]ct as if you were in a conquered city where a local rebellion is in progress’. He later informed parliament of his view on EAM/ELAS, preferring collaborators to anti-fascists: ‘The security battalions came into existence … to protect the Greek villagers from the depredations of some of those who, under the guide of being saviours of their country, were living upon the inhabitants and doing very little fighting against the Germans’, unlike the ‘security battalions’ deployed by the Greek government who pledged loyalty to Hitler and who, according to Churchill, ‘did the best they could to shelter the Greek population from German oppression’. Britain engaged in what Churchill called the ‘absolutely devastating’ tactic of ‘area bombing’ of German cities instead of hitting specific military targets. Because of the power of aerial bombing, as Prime Minister Baldwin had explained in 1932, ‘The only defence is in offence, which means that you have to kill more women and children more quickly than the enemy if you want to save yourselves’. During the later years of the war, Arthur ‘Bomber’ Harris took this message to heart more than any other RAF commander. He took pride in the fact that his Bomber Command had ‘virtually destroyed 45 out of the leading 60 German cities. In spite of invasion diversions we have so far managed to keep up and even exceed our average of two and a half cities a month’; that is, in spite of the existence of actual military targets to hit, Harris continued to wreak unnecessary and horrific damage on Germany.